Together, they make up the oldest group of contenders ever for this particular Academy Award, with an average age of 55. And also together, their respective movies are the highest grossing bunch ever, with an average domestic take of about $100 million. Basically these are some experienced, talented and popular women. Speaking of breaking records, Meryl Streep continues to push her unstoppable achievement of being the most-nominated actress (or actor) of all time. 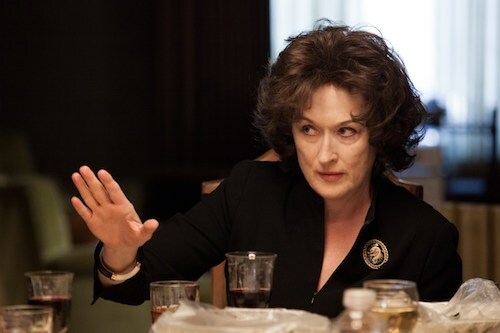 Her current honor, for playing matriarch Violet Weston in August: Osage County, is her 15th bid for the Best Actress Oscar and her 18th nomination overall. Her appearance in the category is almost an official tradition at this point. If she wins, she'll tie with Katharine Hepburn's record of four Oscars, but the odds are not in favor of that happening this year. The front-runner to win this year is instead Cate Blanchett for her performance as the title character in Blue Jasmine. If she does, she'll join Streep in the small club of actresses to have Oscars for leading and supporting roles. She will also be the first person to win for a leading performance in a Woody Allen movie since Diane Keaton in 1977's Annie Hall. Blanchett's strongest challenger has to be Sandra Bullock, who in spite of being a previous winner in this category gave a shockingly good turn as inexperienced astronaut Ryan Stone in Gravity. It's almost entirely a one-woman show, which makes the performance stand out even more. If she wins, she'll be the first Best Actress winner from a year's top 10 box office successes since Helen Hunt in 1997's As Good As It Gets. 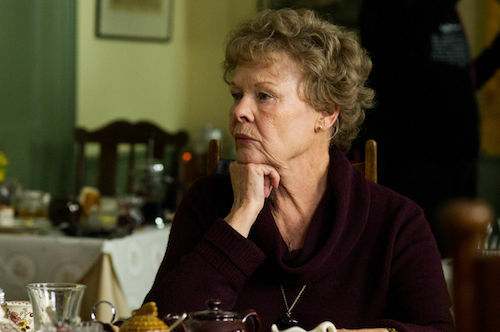 There's also Philomena star Dame Judi Dench, who like Streep we tend to think of as a regular Oscar contender. Yet she hasn't actually ever won in this category. This is her fifth time up for the award and her seventh nomination overall. She has only won once, for her very, very brief supporting role in Shakespeare in Love. If she finally got a Best Actress statuette, she too would then join the aformentioned company of Streep and few others to have wins in both acting categories. Finally, let's consider Amy Adams, who is the only nominee in this category to have never won an Oscar. Of course, she's tried. Her nod for playing con artist Sydney Prosser (and alter ego Lady Edith Greensly) in American Hustle is her fifth overall and first in the leading-actress category. There's no denying that she deserves to be an Oscar winner for how talented she is, but this year she again has some heavy competition and less buzz than Blanchett and Bullock. Who will win? We have no idea (okay, probably Blanchett), but we can discuss who we want to win. This week we polled users on Twitter to name the actress they think should win the Oscar. The results are below followed by a few select tweets. @thefilmcynic Bullock should but Blanchett will sadly. @thefilmcynic Blanchett should and, hopefully, will. @thefilmcynic Streep. Her performance was amazing. Pure venom.